Great potential with some sweat equity to update this cute bungalow either to live in or rent out. Newer siding and roof. 2 car cinder block garage. Partial finished basement with good built in storage cabinets and glass block windows. 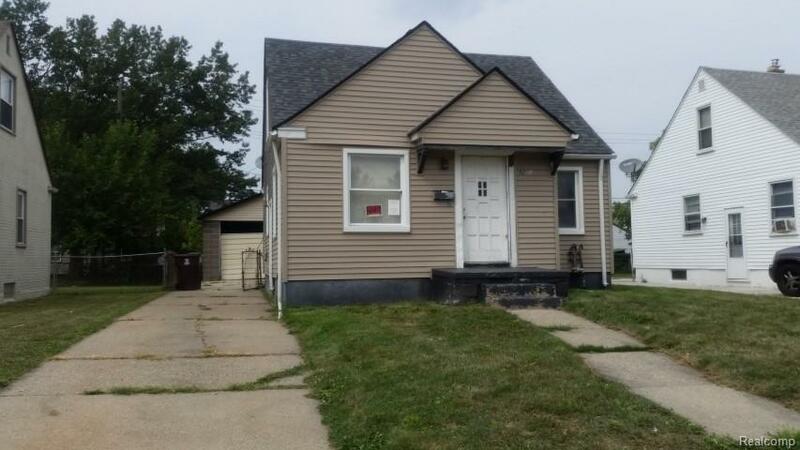 This property has been placed in an upcoming online event. All bids should be submitted at Xome dotcom/auctions (void where prohibited). All offers received prior to the event period should be submitted by the buyer or buyer's agent by clicking on the "Make Offer button on the Property Details page on Xome. All offers will be reviewed and responded to within 3 business days. All properties are subject to a 5% buyers premium pursuant to the Auction Participation Agreement and Terms & Conditions (minimums will apply). Please contact listing agent for details and commission paid on this property.